Located within the border of the 195-square-mile Chirripó National Park is not only Costa Rica’s highest mountain, but the second highest peak in Central America. Known as the Cerro Chirripó, its 12,533-foot peak can be reached only after a strenuous 11-mile climb with an elevation gain of more than 10,000 feet. But it rewards climbers with a trek through five different ecosystems as well as a view of the Pacific Ocean to the west, the Caribbean Sea to the east, and Panama to the south. The five ecosystems are based on the Holdridge Life Zone classification system and climbers travel through each of them on the way to the summit: the lowland tropical wet forest (also known as the rain forest), pre-montane tropical wet forest, lower montane wet forest, montane wet forest (cloud forest), and páramo, which is Spanish for an ecosystem located between the upper forest line and the snow level. In regard to Cerro Chirripó, the páramo region is located at an elevation of 9,800 feet or higher. Since this páramo region was once believed to be sacred by the indigenous tribes in the area, it was left relatively unexplored. It was not until 1904, when a priest named Agustín Blessing completed the first recorded climb to the sacred peak. In addition to the views, the Cerro Chirripó is situated in the Talamanca Mountain Range, which consists of tropical rain forests, pristine lakes, and valleys that were formed by glaciers more than 25,000 years ago. Today, the primary valleys are known as Valle de los Conejos (Valley of the Rabbits) and the Valle de los Lagos (Valley of the Lakes). Getting to the park is pretty easy. 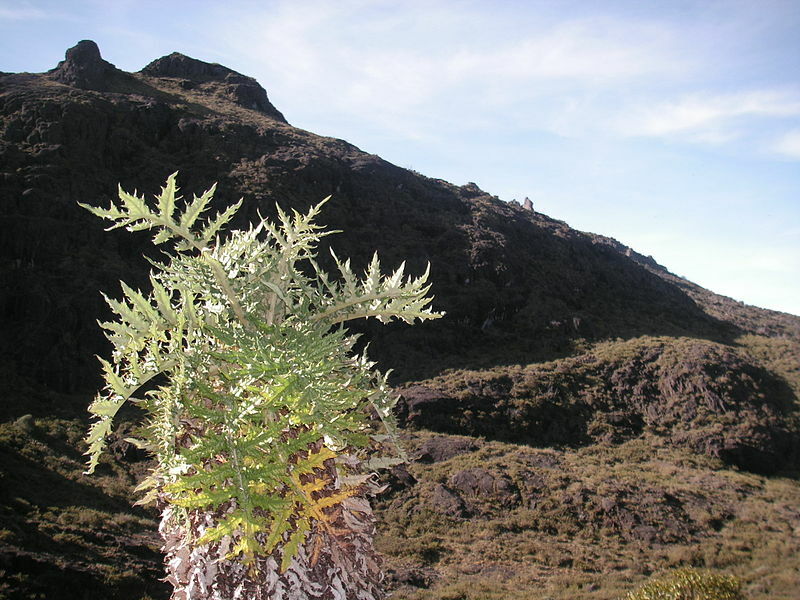 It is located 11 miles north of San Isidro just off the Pan-American Highway. Express bus transportation to San Isidro departs from the Terminal Coca-Cola in San José once every hour from 5 a.m. to 5 p.m. seven-days-a-week. The trip takes approximately three hours and requires a transfer in San Isidro to the San Gerardo de Rivas bus, which departs from the parque central beginning at 6:30 a.m. This bus makes a stop right at the trailhead. The ride to San Gerardo de Rivas is 13 miles long and bumpy due to the combination of deep ruts and potholes. Despite the rough ride, the views along the Río Chirripó Pacífico are spectacular. 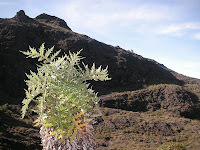 Best Time of Year: The dry season from mid-December to mid-April offers relatively stable temperatures (within the zones) and the best chance for clear visibility at the summit. But if you travel in the rainy season, it rarely rains before the early afternoon. Temperatures: The average lower-region temperature range is between 64 to 79 degrees F. The average highland range is much colder with temperatures between 32 to 54 degrees F. The record low is 14 degrees F., so be prepared. Wind Speeds: Frigid winds can exceed speeds of 50 miles-per-hour with the wind chill dropping temperatures dramatically. At the summit, wind speeds have been recorded at more than 100 mph. Hydration: For any climb, it is vital that you stay hydrated. Rapid dehydration can occur from the combination of humidity, the overall physical exertion of the climb, the rapid elevation change, and the intensity of the sun especially during the mid-day hours. Be sure to apply sunscreen because you are close to the Earth's equator and at higher elevations. The sun’s intensity can easily create serious sunburns and there have been cases of climbers sent to the hospital for simply not applying enough protection. Reservations: All climbers are required to make a reservation with the national park office in San Gerardo de Rivas. I recommend showing up in person for the first-come, first-serve tickets because calling by phone usually requires a wire transfer of funds to a Costa Rican bank and the high chance that you will hear the words "There is a long waiting list." Despite the extra hurdle, reservations are important for both safety (in case a climber becomes lost) and for staying at one of the refugios (lodges) near the summit. 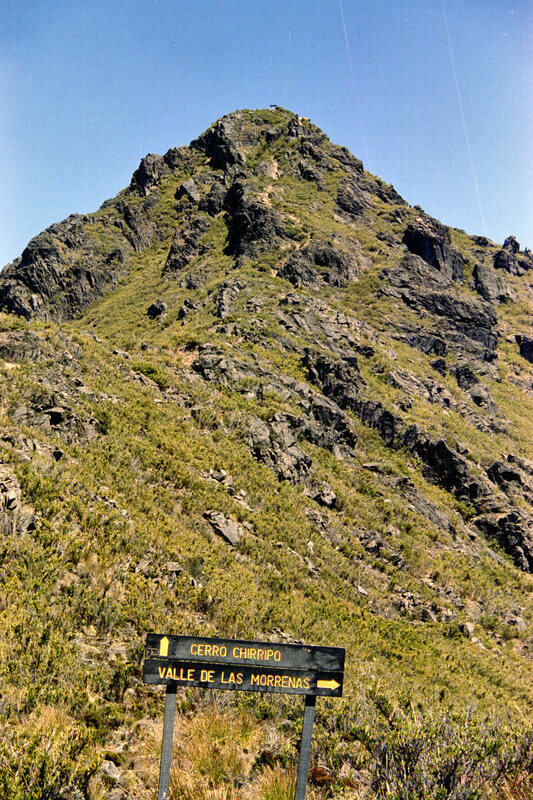 The climb to the summit of Cerro Chirripó can be demanding because of its overall length. The trail travels approximately 11 miles with an elevation gain of around 10,000 feet. 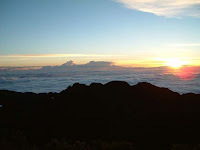 Although there are some stories of climbers who have completed the round-trip journey in one day, most climbers generally make the trip in two days. I recommend that visitors allow even more time to explore some of the nearby lakes as well the interesting páramo region. 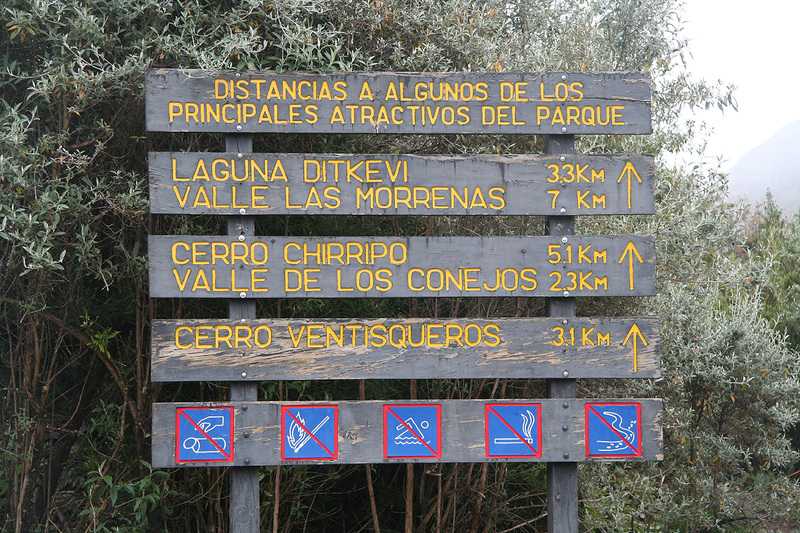 There are several trails to the summit with the most popular one beginning in San Gerardo de Rivas that travels along steep hillsides overlooking the valley below. Of course, this popularity is mostly due to the fact that the national park office is also located there. There are other trails that depart from the nearby towns of Herradura or Canaán. If you are interested in any of these trails, maps are available at the national park office. The route up to the summit includes kilometer markers that are each signed and named. The names in the beginning are optimistic such as The Monkeys, The Oaks, and The Beautiful Plain, but they change toward the top. With names like The Burns, and The Last Step, they either mock you or encourage you as the air becomes thinner above 11,000 feet. But despite the shorter breaths, the crisp air and wind can be extremely refreshing. 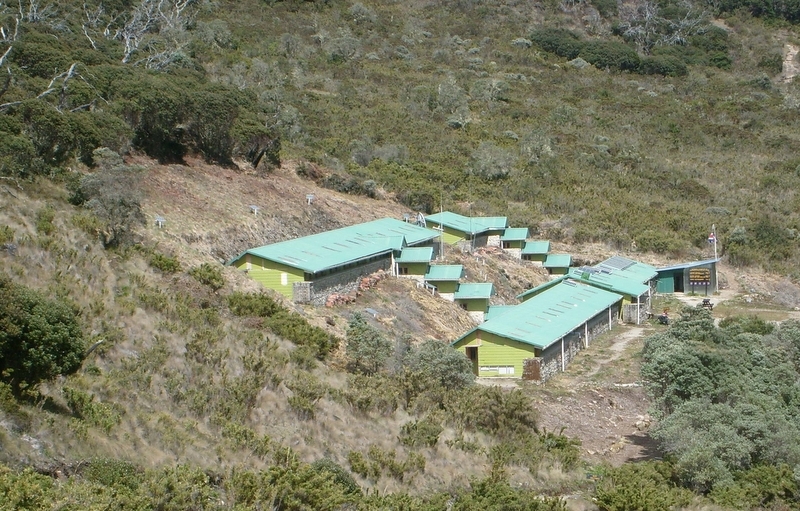 Llano Bonito: Located approximately half way up the mountain, this small, open-sided tin-roof lodge is basically used as a temporary stop to escape the sun or to gather some much-needed rest and energy for the remainder of the climb. Base Crestones: Pictured to the upper right, it is located 8.6 miles from the beginning of the trail. This is the main refugio that accommodates up to 60 climbers with bunk beds and stone floors. Reservations are highly recommended due to the limited number of beds especially during the dry season. Each climber must bring their own sleeping gear and food because the lodging only offers a bed, a (freezing!) cold-water shower, and a communal kitchen and mess hall. The lodging is similar to a cheap hostel and the temperatures can get pretty frigid, especially at night. After staying just once, it comes as no surprise why it has been called "The Refrigerator." It is two miles below the summit, which is about two hours of hiking distance at a medium pace. As you near the summit, the trail drops down into a narrow saddle just before the final push up a rocky terrain that forces you to slow to a crawl. The summit is clearly marked but worn down from the countless numbers of climbers who have come before. The view is more than you can ever imagine and when the sunlight pierces through the thin atmosphere, the beauty of the moment will make you completely forget about the ache in your legs.